Our volunteers are crucial to getting the work done for so many of our projects as well as for the Center. Throughout the year we ask volunteers to help with office tasks, mailing, and fundraising activities. 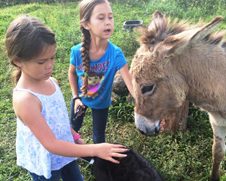 In the past years we have had volunteers help with the development of our Kohala Welcome Center and public rest rooms, mailing out our semi-annual newsletters, landscaping around the building and providing opportunities for folks who need to fulfill community service hours. 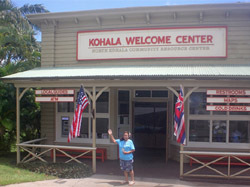 Since the Welcome Center opened in 2012, we have a core group of volunteers who greet and provide information about Kohala for visitors to the Welcome Center. Many of our organizers and all of our Directors are volunteers. If you are interested in volunteering as a Welcome Center guide or in some other capacity, please contact Juanita at Juanita@northkohala.org or call 889-5523.